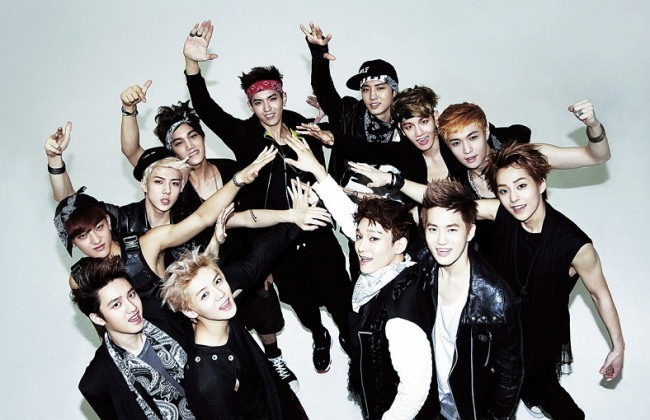 SM Entertainment will produce a TV series starring boy band EXO in partnership with global mobile messenger app LINE. According to the label, the 10-member group just finished shooting for the upcoming drama “EXO NEXT DOOR,” set to be broadcast in April. 10 boys will appear in the drama along with the female lead, played by actress Moon Ga-young. The drama will air through Korea’s Naver TV cast and Line app platform. A teaser video of the drama will be unveiled at EXO’s upcoming concert, which will take place at the Olympic Gymnastics Arena starting on Saturday.